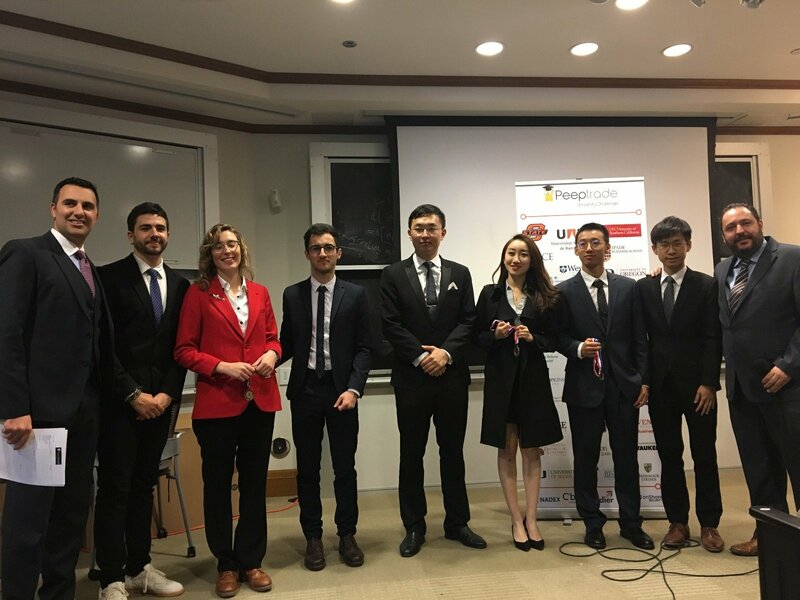 A team of four BBA students from the HKBU School of Business scooped third place at the Peeptrade University Challenge, a two-month-long investment challenge with participants from top universities and business schools across the globe. The final round was held at University of Chicago on 21 April 2018. 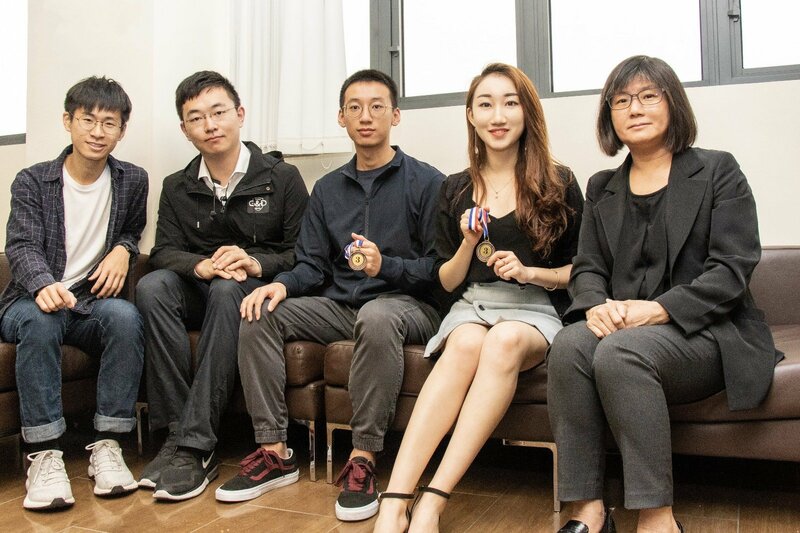 The HKBU business team competed against undergraduate teams from 20 other universities and schools, including University of Technology Sydney, Universitat Autonoma de Barcelona and Loras College for the final round. The winning students, namely Chan Ngai Yeung (BBA Finance, Year 4), Liu Minghui (BBA Accounting, Year 3), Wang Yuzi (BBA Finance, Year 4) and Zhu Haotian (BBA Finance, Year 3), were applauded for their presentation to defend their investment choices and strategy in front of the panel of experts. The competition required each team to construct a portfolio of stocks and track its performance over the period using sophisticated financial metrics. The 10 best performing teams were invited to give a presentation, and were scored based on the performance of their investment policy statement and compliance, the execution of their strategy, the metrics of their performance and risk compliance. Having been on a roller coaster of the weekly leader board during the challenge, the team underwent a very competitive and nerve-wrecking journey. “The challenge provided us with hands-on experience in investment management and trading. I think teamwork matters the most when it comes to managing an aggressive and high-risk portfolio, as we had to research and back test very carefully to ensure our strategy would work in a longer investment horizon,” said Chan Ngai Yeung. “By adding supplementary strategies like event-driven, fundamental and technical analyses for our portfolio, we managed to apply what we learnt from school into our investment decisions which turned out to work well,” Zhu Haotian added. The team especially thanked Ms. Connie Leung from the HKBU Department of Finance and Decision Sciences for her professional coaching and advice throughout the competition, and Dr. Astrophel Choo, also from the same department, for his advice on presentation to prepare them for the final round in just one week. 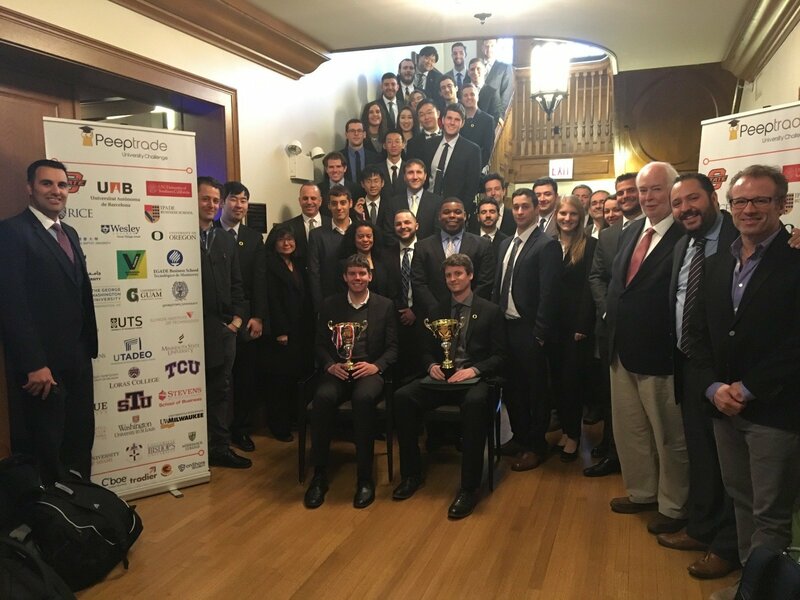 The Peeptrade University Challenge 2018 attracted 55 teams from 37 universities and business schools worldwide to compete in undergraduate and graduate divisions respectively. Other contesting universities included Instituto Tecnológico y de Estudios Superiores de Monterrey (ITESM), Rice University, Washington University in St. Louis and INSEAD, among others.